My husband, Gary, and I had brought our kids to Jefferson City to explore our state’s capital, soak up some history and do a little shopping. My children apparently had other ideas. But this was their family vacation too, so it was only fair for them to pick some activities—even if that meant touring the bleak remains of a prison. We walked through the barred glass doors, original to the prison, and checked in for the tour. Our guide, Mike Groose, once worked as a warden at the Penitentiary and was full of fascinating stories about the inmates and his time there. I watched Sarah and Jack as they soaked up every word he was saying and found that I was just as mesmerized as they were. The creepiness I first felt about touring a prison was now melting away into a keen interest in the stories the retired warden was sharing. I began to appreciate the haunting beauty that surrounded me. With its dark history, this place was certainly no amusement park ride, but its very real and rough edge captured my attention. We were walking down the same halls as hardened criminals such as Pretty Boy Floyd, Sonny Liston and James Earl Ray. 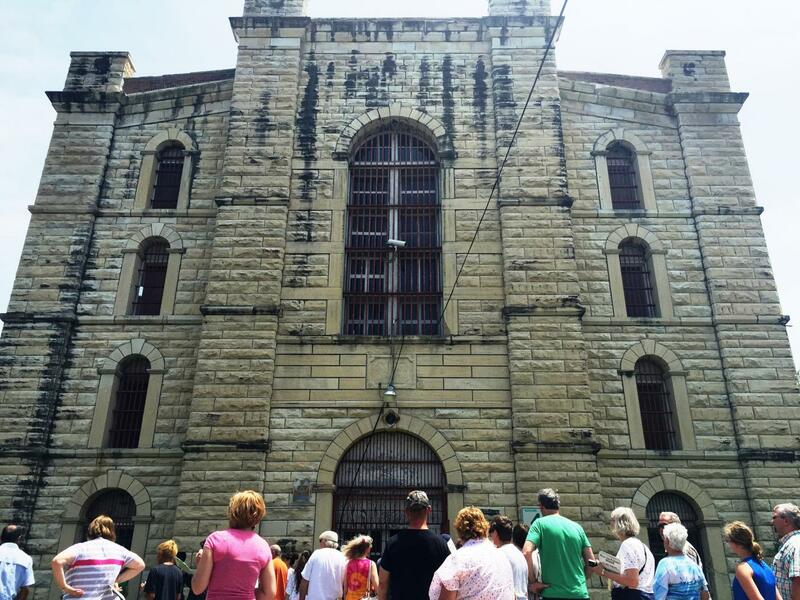 When we walked through the upper yard, warden Groose told us about the riot in 1954 when inmates violently took over the prison and set fire to several of the buildings before officials were finally able to regain control. None of the prisoners escaped. The dungeon cells and gas execution chambers were sobering, especially when the tour guide assistant shut the door and turned off the lights to give us an idea of what solitary confinement would have been like. There was lots of squealing coming from me and my daughter, but I think it was Gary who screamed the loudest. After the tour, warden Groose recommended checking out the Missouri State Penitentiary Museum located across the street in the “Marmaduke House.” The artifacts and memorabilia curated there meant so much more now that we had been on the tour and had a better understanding of what prison life would have actually been like for the inmates. I never once heard the dreaded, “Mom, I’m bored!” from my kids. After all that exploring, we were ready for lunch. Two blocks away was Prison Brews, an interesting brewpub with a delicious-sounding menu. Over a round of burgers on the outdoor patio, the kids continued talking about the prison, swapping stories about their favorite parts of the tour. Gary tried the Gone A-Rye Pale Ale, and I enjoyed a more light-bodied Go To Jail Ale. The pub had a bocce court out back, and I suggested we play a game. “Boys versus girls,” Sarah shouted as she and Jack both ran to the court. Next up was dessert at Central Dairy Ice Cream—the boys beat Sarah and I, so it was a reward for the guys and a consolation prize for us. We had heard from several people that this was a can’t-miss stop. And they were right! This old fashioned malt shop is full of nostalgic charm and deliciously refreshing ice cream. Gary and I shared a Hawaiian Split and the kids each got hot fudge sundaes before we set off to explore the rest of the shops in town. At the end of the day, we headed back to our hotel, the DoubleTree, and decided to have dinner on the rooftop at Sapphire Restaurant and Lounge. The gorgeous panoramic view of historic Jefferson City was second only to the food. The best view of all was the smiles on my kids’ faces as they looked out over the city’s skyline. Request a free visitor’s guide and start planning your family’s next getaway to Jefferson City, Missouri.